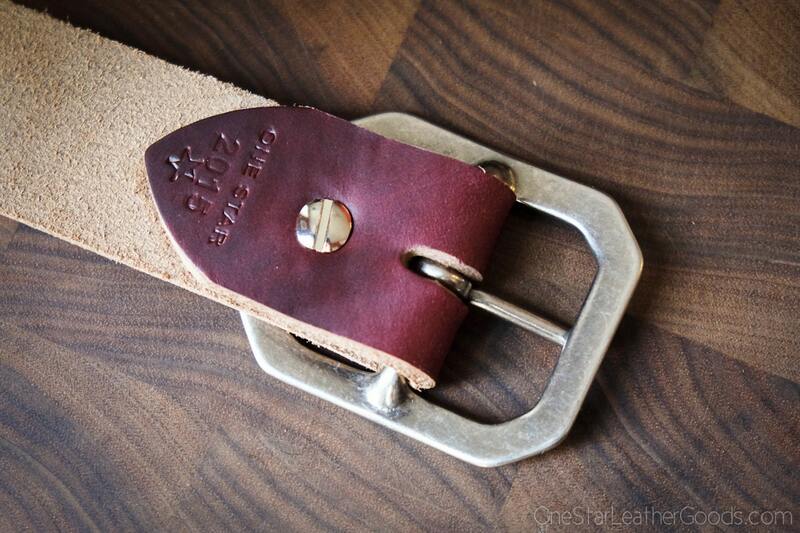 A simple flat cut strap of superior quality leather. 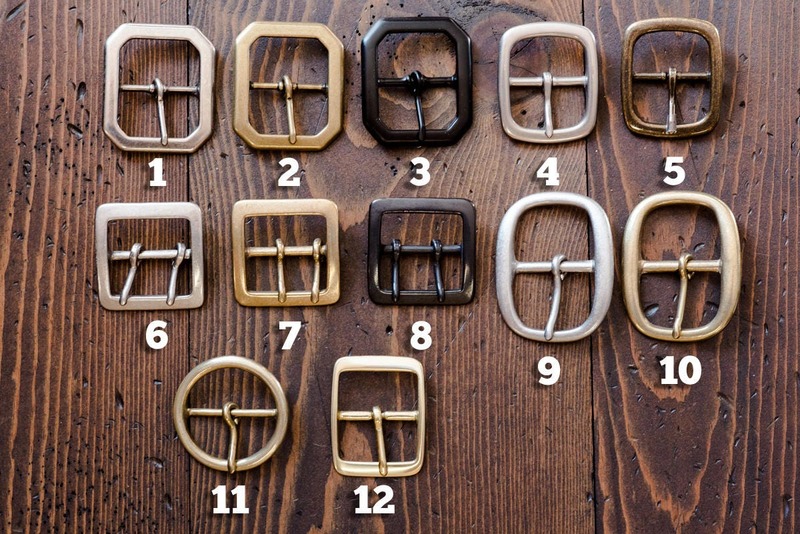 1.5 inches in width, finished with a center bar buckle and a chicago screw. 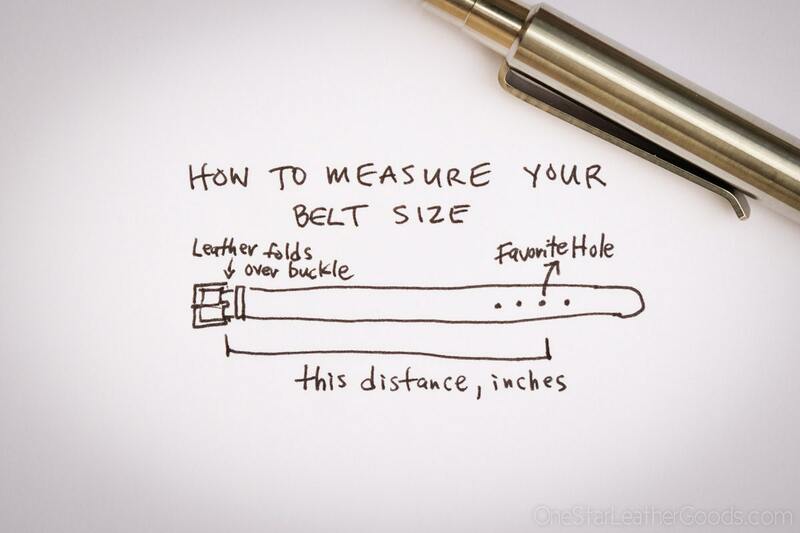 Chicago screws are removable, so if you later find an awesome center bar belt buckle at a thrift store or in your uncle's attic that you want to use with your nicely-aged belt strap, you can change the buckle yourself easily with a flathead screwdriver. 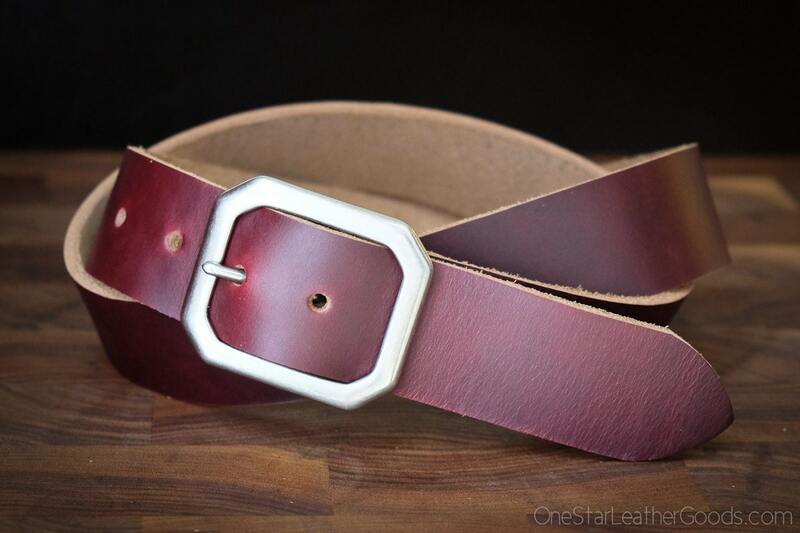 Very nice Horween leather belt in color number 8!! 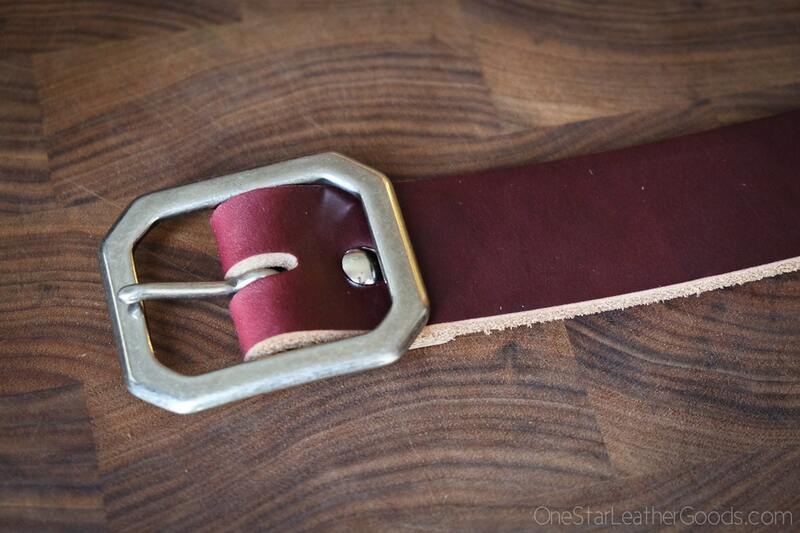 Beautiful belt. 2nd one I’ve purchased from One Star and won’t be the last. Great item! I just ordered another one, but it still hasn't been marked "shipped" yet. Loved it so much I ordered 2 more in different colors the day I got it.